The path to a 5G-enabled healthcare future. There’s probably no greater buzz across the techno-verse right now than the one around 5G. After years of projecting the “maybe one day” promise of a 5G future, that vision is now visible. While we’re still a few years out from a truly 5G world, we’ve definitely left the starting blocks. The foundation has been laid, the infrastructure is being built and early innovation is off and running. There are a lot of early claims out there about 5G—what it is, what it isn’t and who’s delivering it. Regardless of what you may be hearing on the streets, the promise and potential of fifth-generation mobile communication is going to be realized from the integration of some very critical and fundamental components that frankly take years to deploy. Anyone jumping on that bandwagon now who has not invested significant and sustained resources in infrastructure development will not likely be able to deliver on a 5G promise. The high-speed, low-latency, pervasive presence of 5G requires massive fiber resources, with densification of signal in major cities supported by an expansive network of small cells – something that requires a commitment to a slow and often complex coordination effort with local governments. It will also be aided by having a large portfolio of millimeter-wave spectrum holdings to provide customers with the best 5G network experience. Beyond that, virtualization solutions layered over those capabilities are critical to rapid deployment at the application layer and to seeing the potential of edge computing truly become a reality. Why is all of this important to healthcare? 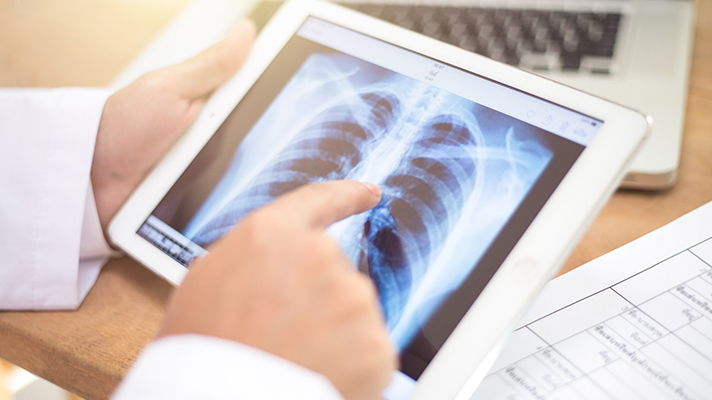 There are fewer industries that demand the kind of constant innovation healthcare does, and there is no other industry that would be better served by the speed, agility and scalability that 5G will afford. Things that just could not be supported on the bandwidth limitations of legacy networks can be brought into the innovation spotlight with 5G. Telemedicine. Ultra-fast, pervasive mobile connectivity will drive virtual medical visits between clinicians and patients in the most rural locations, where physical assistance is typically two hours or greater away. It can drive “on demand” care, search and rescue support, and sensor-driven medical supplies, like smart pill bottles. Pain management. Imagine the ability to deploy virtual and augmented reality capabilities to immerse a patient in a pleasantly distracting virtual experience while they undergo treatment or surgery. Or enabling surgical observation and training through a virtual theater. Both of these carry the presumption of fast, uninterrupted connectivity. Remote health monitoring. 5G connectivity will be the backbone of the sensor-driven IoT monitoring space. The potential data overload of a burgeoning ecosystem of wireless remote monitoring devices, not to mention the demand for real-time actionable information, can only be improved by the speed and bandwidth of 5G. 5G has the potential to be transformative to the entire “thing” space of IoT. It will allow businesses to harness massive amounts of data that will drive advanced analytical and AI programs to help improve decision-making processes. Gartner projects that businesses will log an estimated $15 trillion in aggregate IoT-related expenditures over the next eight years, and by 2020, more than half of all new businesses will rely on the IoT to cut costs, build efficiencies and grow their bottom lines. For IoT to realize its virtually limitless potential, 5G is critical. Many of the use cases for 5G technology literally haven’t been invented yet because, until now, there was no ability to get that innovation off the whiteboard and into the ecosystem. The first step to capturing the full business potential of 5G is to start incorporating the best 4G LTE connections and complementary technologies into your business. There are many technologies that operate on the existing 4G LTE network. Incorporating these solutions (like IoT infrastructure, SD-WAN, smart technology, mobile workforce management, etc.) into your business paves the way for your future transition to 5G. Integrate technologies and develop systems and processes now that will more easily transition to or integrate with 5G in the future. Come see us in Booth #1959 at HiMSS. Let’s talk about your 5G future.